This simple, homemade garlic bread can be served as an accompaniment or even served as a snack by itself. 1. Cut the bread into 1 cm thick slices. 2. Mix the butter, garlic and parsley in a bowl using a fork. 4. 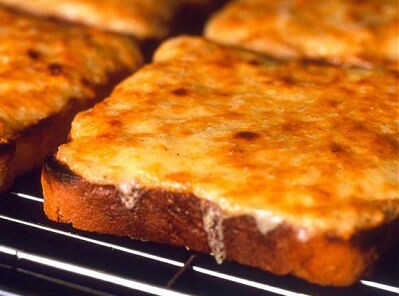 Spread this on the bread slices and wrap them in a foil. 5. Place them on a baking tray. 6. Bake in a preheated oven at 200C/400F for 15 minutes or until the butter mixture has melted. 7. Remove the foil and bake again for 3 to 5 more minutes or until golden and crisp. 8. Serve as a starter or as an accompaniment. Tip: You can use any bread or bun as desired. 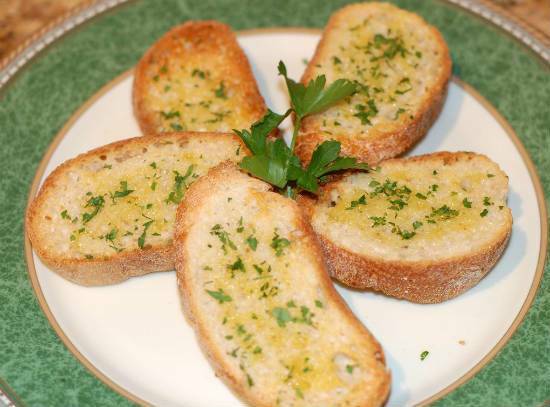 Feel free to comment or share your thoughts on this Garlic Bread Recipe from Awesome Cuisine.